You have a small loss to get a big win (in the long run). That is how an investment works. When I was in New Zealand 8 years ago I faced English. I was capable to speak it but not super well. I was an obstacle to myself because I had a fear of losing the skills of my mother tongue (German). I was naïve to think like that but it was why I did not fully dive into the language or immerse myself further into the country. I was constantly blocking myself. I felt like a German snob in an English-speaking country, not like a learner wanting to immerse oneself into a foreign place, language and culture. I was arrogant towards the place I was in and the people I was with. In the short documentation videos I recorded myself speaking German. I used them as an escape, a zoom-out of(f) the foreign country I was in. Even where I worked, at Greenpace in Auckland, there were some Germans, also speaking German with me. That created another obstacle for a full language immersion and another safe harbor for me to escape to. I was 25 and it was my first time outside of Europe. It was the start of my (prior non-existing) longing for further exploring the world. I wanted to go the furthest place away from Germany. That was New Zeland. For my past self this was a bold move. 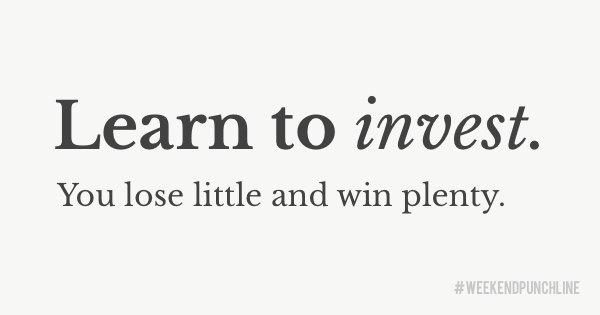 Investing is a bold move and comes with a price: You give away (knowledge, skills, money or connections) and you return enriched. What comes back is what is going to enrich you. It is not always obvious for you to see the return on investment, but the day you realize what you received until today is because of what you did X years ago, you could not feel prouder and respect yourself even more. Investing is seeing an opportunity that is aligned with your goal, overcoming the fear / block / obstacle of making the step forward and actually taking the step (doing the investment). Fear of loss is a big force. Fear of missing out even has become a popular meme. Fear in general is a power, for example, used by the media, corporations and governments to keep people aligned with the ruling party’s dogma. It is a strategic tool and applied with pleasure on an individual level. I remember the fear-and-love scene in Donnie Darko. Certainly, scaring people works and it can be the foundation for war as I explained on 5 December 2016 when I described that the more distance you gain from a person you do not know, the easier it is for third parties to influence your perception on him/her. With no prior first-hand knowledge at your disposal about a person you are an easy target for an influence and its agenda. In New Zealand I was scared. I created that fear within myself. I could have made the experience in the country more enriching — but I am not in regret mode. In fact, I stopped regretting some time ago and accepted my flaws and flows. Instead, I saw what I gained out of it and know I did better after and will do better the next time I will be abroad (probably around May 2017). Investing is valid for your business as much as it is valid for learning a new language. You will probably lose some parts of the languages you speak already, but the new language will be so enriching and rewarding that it will have been worth the investment. Your return on investment into a new language is a step closer to a better understanding of the world. In terms of business, your return will be more ways to further shape and structure your business. In essence, investing is about creating options — as a business owner and a human person, and who doesn’t like options? This was episode 11 of the #weekendpunchline . Every Saturday and Sunday.